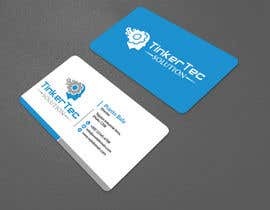 Overview of company: TinkerTec Solutions provides customized technology solutions to medical practices with a focus on increasing patient satisfaction, optimizing operational workflows and reducing costs. Whether a private clinic or hospital setting, our team is here to help. Our team custom builds technology solutions to fit your everyday practice. We are a client focused company built on principles of integrity, performance and respect. We are helping revolutionize traditional marketing practices by offering targeted real-time digital content delivery experiences. Saving both time and money our digital solution is a more effective method for communicating with your clients. TinkerTec Solutions with the help of our trusted partners, work to provide crystal clear stunning high definition (HD) visualization, making real-time interactive experiences possible. Whether it’s building a new system or redesigning an existing VoIP network, TinkerTec helps you define your requirements then provide an integrated solution. We also provide detailed migration plan and specifications for your deployment. Including comparative analysis of the more cost effective solution that fulfills all your present and future needs. We work with industry leading solutions provides including Cisco, Polycom, Avaya among others. better is a modern bulb? kids or adult shape? Dear Contest Holder, Kindly check again all my designs by clicking on my name. Thanks. Otherwise, if others want to take inspirations from it, please feel free. We like the logo but not the font used, maybe a different variation? you reject entries people but give 5 star for the same logo but on different mock up? Thank you for your contributions, some of the logo designs are coming out really nice.